The specific intermediate results for target beneficiaries? Evaluate the impacts of new water services to assess equity and potential sustainability. Use evaluation to help the community address any potential conflicts or issues that may arise in the maintenance and financial management of their new or rehabilitated services. What water infrastructure has been installed? What training and management components have been implemented? Are people using the technology appropriately? Is the management committee working well? Are the water services more equitable between user groups? How could the technologies or management be improved to enhance the equity and sustainability of water services for all users? Use participatory evaluation methods to encourage further dialogue and uptake of promoted health practices. What benefit-enhancing health activities were implemented? How have hygiene practices changed? Are there any differences in sanitation practices? Have rates of water-related disease decreased? How could interventions increase sustained adoption of desired behavior change? Finding a low-cost solution to handwashing station construction increased their uptake and use in rural Zinder, Niger. Evaluating the impacts of livelihood support programs will help your organization or group learn lessons and improve your activities over time, leading to greater community involvement, greater impacts and greater sustainability. What impact-amplifying livelihoods activities were implemented? Are more people using resources to support livelihoods activities? Has the overall standard of living improved? What additional measures could be introduced to scale up economic growth and income generation? 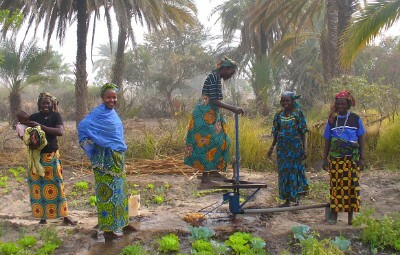 Shallow groundwater is often in ample supply in Niger but many small-scale gardeners have trouble accessing it. 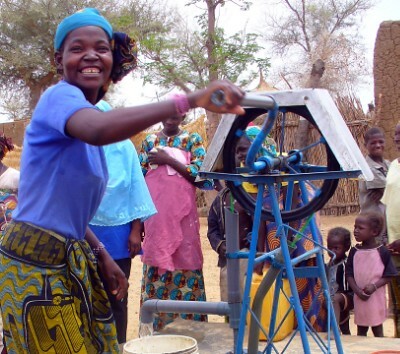 Low-cost treadle pumps enable gardeners to access water up to 12 meters deep, allowing small-holders in marginal fields to produce high value horticulture crops year-round. Take a look at the efficacy of the program’s environmental protection efforts and inform the community so that they can take action to ensure the sustainability of their water services and livelihoods. What benefit-enhancing environment activities were implemented? Are protections in place to prevent contamination? Are people demonstrating stewardship of their water resources? Are the sources more reliable? Have environmental water flows been maintained? How could the program enhance application of Integrated Water Resources Management principles at the catchment scale? Low-till conservation farming protects soil nutrient content and reduces erosion. 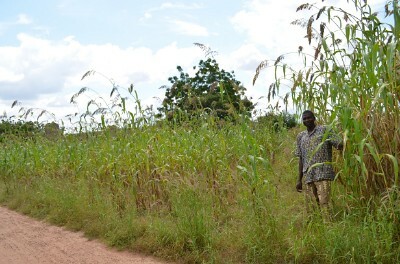 Above, a farmer trained by Winrock through the WA-WASH Burkina Faso program, compares his high yielding conservation farming field on the right and a traditionally farmed field on the left. Look beyond the direct benefits of each program component to identify the combined, synergistic and holistic impacts of SolutionMUS. What was the financial return on investment of all services and benefit-enhancing programs combined? How equitably are the costs and benefits of SolutionMUS distributed across client populations? Beyond the direct impacts of water, health, livelihoods or environmental activities, is there evidence of strengthened governance capacity in the client populations? How has the sustainability of water services (resources, systems and management) changed? In what specific ways has SolutionMUS affected clients’ adaptive capacity and resilience to political, economic or climate-related shocks? Greater accessibility and quantity of water allowed 65% of families to build new, brick homes. The family’s previous house is shown to the right.